Stay at Quality Inn & Suites, the most affordable hotel in Fort Collins, CO with an indoor pool! Our hotel delivers professional, responsive and friendly service, along with providing world-class amenities. Our on-site conveniences include recreational facilities, corporate conveniences, laundry facilities, free parking, high-speed Wi-Fi, and more. In addition to the amenities listed below, Quality Inn & Suites University Fort Collins welcomes its guests with freshly baked cookies in the lobby each evening. 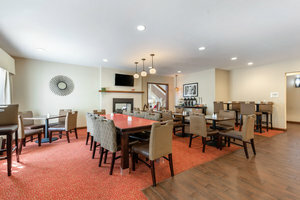 Get your money’s worth at the Quality Inn & Suites Fort Collins, where we offer you the best hotel rates, spacious accommodations, and premium lifestyle amenities, so you can focus on the people, events, and memories that matter most. Our hotel in Fort Collins, CO with an indoor pool proudly welcomes the entire family – that means the pets too! We understand that it’s hard to leave your furry friends behind on your travels. Choose to stay at Quality Inn & Suites University Fort Collins and you don’t have to. More than just dog-friendly, we encourage you to bring any of your pets with for your stay. In addition to welcoming your pets, we provide pet amenities in the way of outdoor space. Walk your dog in the fenced in dog walking area behind our property. 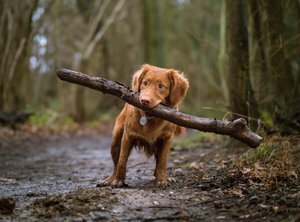 As an added bonus, we are the closest hotel to the CSU Veterinary Hospital, making us the obvious choice for you and your beloved animal. Find your happy place in our luxurious indoor aquatic center. Providing both an expansive pool and a Jacuzzi, you will love passing the time on your own or with the kids. 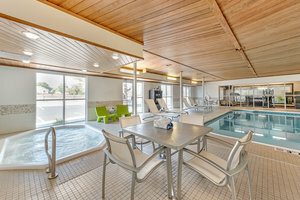 Swim at your own pace, on your own schedule at our hotel in Fort Collins, CO with an indoor pool. 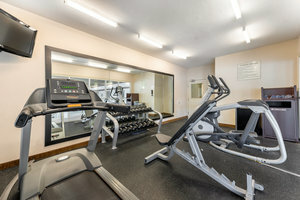 Stay active and fit in our 24-hour on-site fitness center with unique, competitive features like chilled bottled water, sanitary wipes, and a well-stocked supply of fresh towels. Our fitness center is equipped with a bench, free weights, an elliptical, and a treadmill. 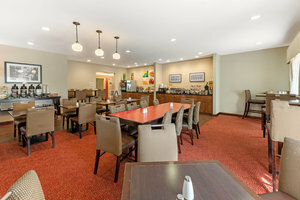 Start each day with a delicious complimentary breakfast at our hotel in Fort Collins with an indoor pool. Grab a free newspaper or connect to the free Wi-Fi and fill up a plate. Boasting freshly cooked eggs, breakfast meats, waffles, and more, you are sure to be full and ready to tackle the day ahead. Our versatile breakfast room doubles as a meeting and events space. Easily customizable, the venue is available for all of your hosting needs. Organize business meetings, meet-ups, brainstorming sessions, celebrations, and more in this convenient meeting space. Plan your event with us! Comfortably host up to 35 seated guests. Ask us about outside catering! Our dedicated event staff are happy to help you arrange it, should you require any assistance. Call or email to book our meeting and event space today! Exhilaration and relaxation are in no short supply at our hotel in Fort Collins, CO with an indoor pool - but that’s not all! 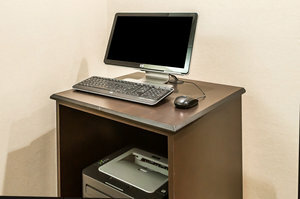 We are pleased to also cater to business travelers with a conveniently located on-site business center, along with property-wide high-speed Wi-Fi. Our 24-hour business center offers you all of the conveniences of the office while you travel. 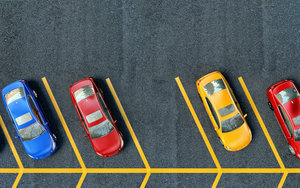 Enjoy the added convenience of free, on-site parking without the requirement of a reservation. It is important to note that while we do work to accommodate everyone, our parking is limited in space and is unable to house oversized vehicles. Should you have any questions regarding our size requirements, feel free to give us a call. 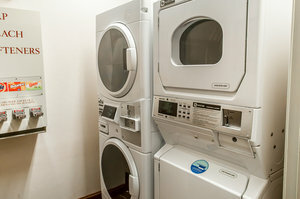 We are pleased to offer you coin laundry facilities on the property! Freshen up your wardrobe during your trip or clean-up your team's jerseys before the next game. The hotel coin laundry is open 24-hours a day, 7 days a week.